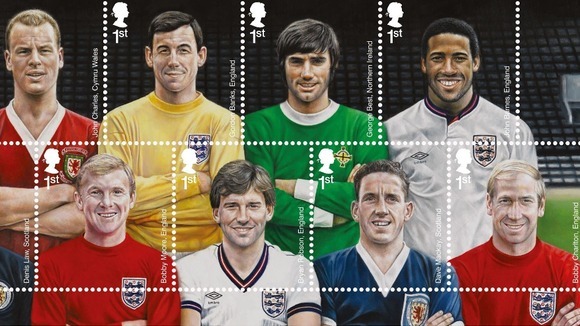 The Royal Mail is issuing a set of stamps featuring some of the UK's biggest soccer heroes to mark the 150th anniversary of Football Association rules being established. The Football Heroes first class stamps were illustrated by the artist Andrew Kinsman and show the stars in their home country's strip. Some of the footballers featured are John Charles (Wales), Denis Law (Scotland), George Best (Northern Ireland) and Jimmy Greaves (England).